Today we are on the brink of eradicating a human disease for only the second time in history. After a decades-long fight, polio is at last nearly gone. We cannot stop until we completely eradicate polio, which is why on 17 November, a team of Rotary staff and I will join Rotary Senior Leaders, Rotary members from Arizona (D5500) and around the world in El Tour de Tucson to raise funds for polio eradication. The 100-mile ride, which attracts more than 9,000 cyclists a year, is one of the top cycling events in the United States. 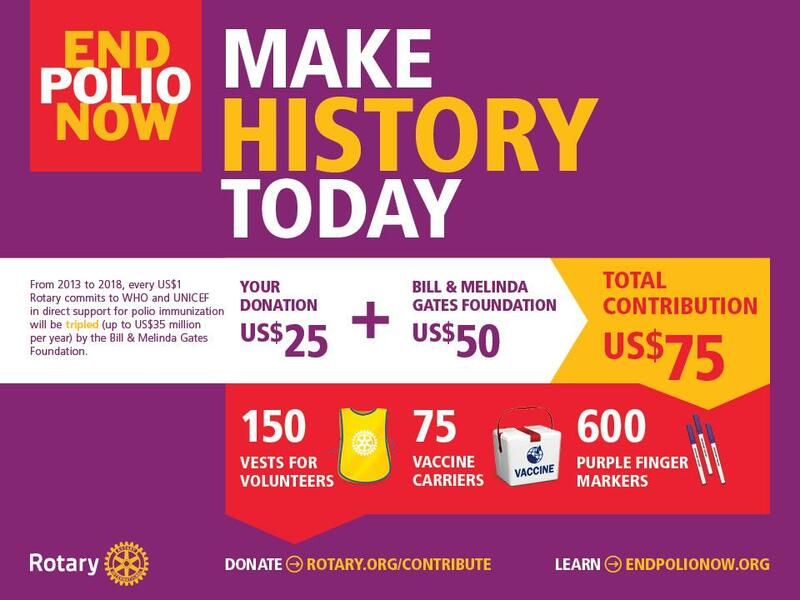 This year, our Miles to End Polio fundraising goal is $10 million, including the Bill & Melinda Gates Foundation 2-to-1 match. There are many ways to support the effort, and there’s no better way to take up the challenge than by joining us on the ride. Would you like to join the team? If so, feel free to encourage fellow Rotarians to register here and ride with us in Tucson. Alternatively, you can take part in the Indoor Ride to End Polio! Register today to ride a stationary bike at your local gym or at home any time from 10-17 November. Thank you for participating in these great opportunities and supporting PolioPlus. With your help, we can end polio for good. In 1985, Rotary launched the PolioPlus program to protect children worldwide from the cruel and fatal consequences of polio. In 1988, the World Health Assembly challenged the world to eradicate polio. Since that time, Rotary's efforts and those of partner agencies, including the World Health Organization, the United Nations Children's Fund, the United States Centers for Disease Control and Prevention, and governments around the world, have achieved a 99% reduction in the number of polio cases worldwide. Rotarians stand at the brink of a great victory and look forward to celebrating the global eradication of polio. World Polio Day - One Day, One Focus, Ending Polio. 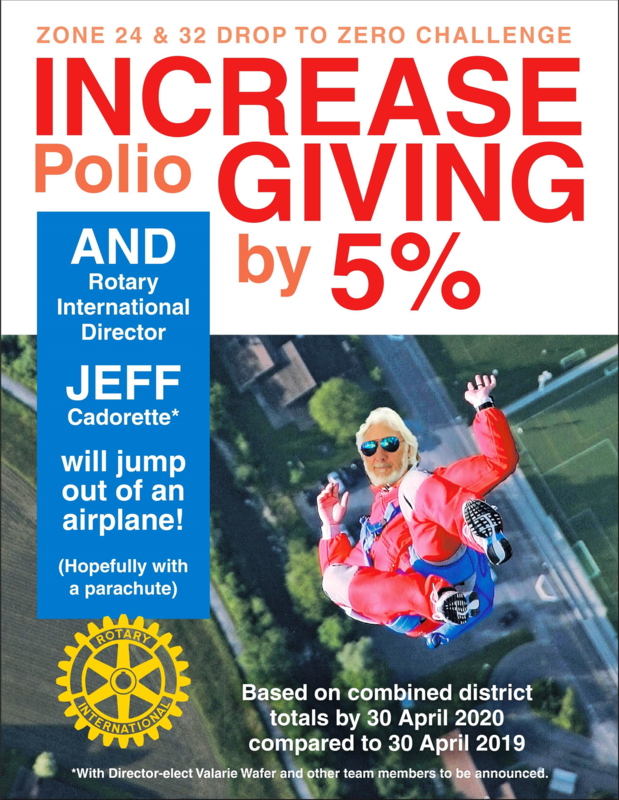 Get ready for Rotary's 6th annual World Polio Day event on October 24th. Will your club join the Miles to End Polio with a bike ride - stationery or on the road? How about a Swimathon? Maybe hold a community World's Greatest Meal? Purple Pinkie events are always a great way to engage your town in a quick and easy promotional event! If you're holding an event where members of your club are donating - give them each the credit they deserve! Download the 'Multiple Donor Form' to your left and let each complete their donation line. General public donations can be submitted via a check from your club on the same form. Make it easy to eradicate polio! Polio eradication is within our grasp. But if we don’t eradicate the disease now, the risk of crippling and deadly polio outbreaks will continue to threaten the world’s children - even in North America. You can help Rotary get the job done by contributing to Rotary’s PolioPlus program or creating awareness of polio. For further information, please contact PolioPlus Committee Chair Hajra Wilson.